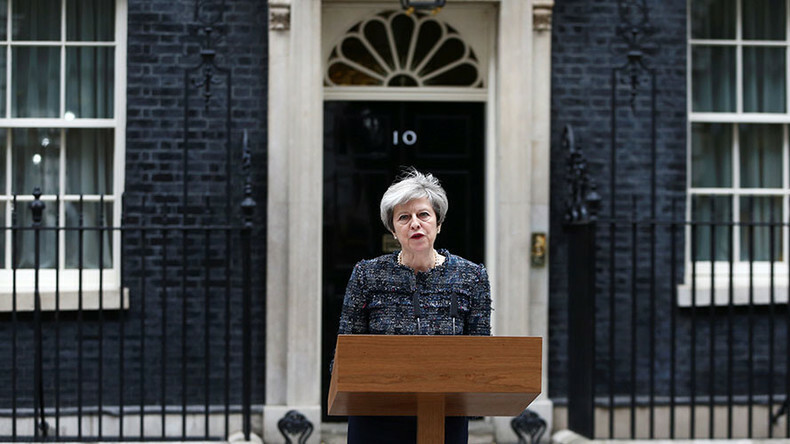 In her toughest words yet, Prime Minister Theresa May has accused European officials of trying to influence the result of Britain’s general election with threats of harsh Brexit terms. 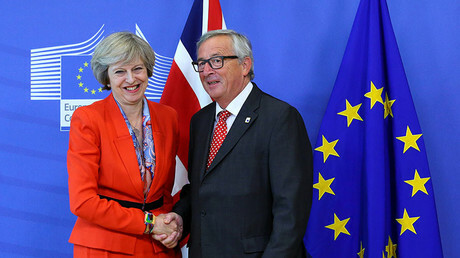 Speaking outside Downing Street on Wednesday, May adopted a tough tone, saying eurocrats do not want the talks to succeed and for Britain to “prosper” after Brexit. She also suggested that Britain’s negotiating position has been misrepresented in the European press. “In the past few days we have seen just how tough these talks are likely to be. Britain’s negotiating position in Europe has been misrepresented in the continental press. 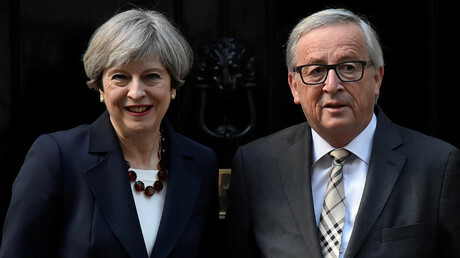 She appeared to be referring to leaks in a German newspaper about her now infamous dinner meeting at Downing Street last week with European Commission President Jean-Claude Juncker. “By winding up the public confrontation with Brussels, the Prime Minister wants to wrap the Conservative party in the Union Jack and distract attention from her government’s economic failure and rundown of our public services. “But Brexit is too important to be used as a political game in this election. I've always been ready for the possibility of nuclear war. I just never thought it would be with Belgium. In a statement issued following a meeting the Queen to mark the dissolution of parliament, May said the winner of the election would face “one overriding task” – getting the “best possible deal” for the UK. Beyond her unexpected verbal attack on unnamed figures in Brussels, May also used the opportunity to hit out at her political opponents in Britain. “While there is enormous opportunity for Britain as we leave the European Union, if we do not get this right, the consequences will be serious. “And they will be felt by ordinary, working people across the country. This Brexit negotiation is central to everything. If we don’t get the negotiation right, your economic security and prosperity will be put at risk and the opportunities you seek for your families will simply not happen. She added that voters face a “very simple” choice on June 8 between her and a “coalition of chaos” led by Labour leader Jeremy Corbyn. 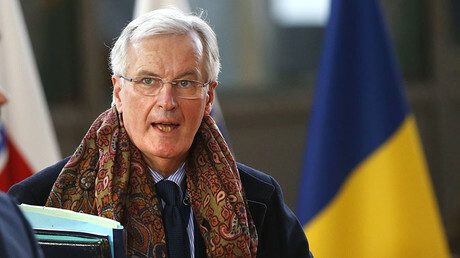 Unveiling his first detailed vision of how talks with the UK will take shape in Brussels, Michel Barnier set down a series of tough EU demands on citizens’ rights and a hefty financial settlement he says is just about settling accounts. He said Britain would have to honor its financial commitments and hinted that would entail paying for a number of EU programs, citing the example of aid pledges Brussels has made to Ukraine. He insisted the “divorce bill” was not a punishment for the UK leaving. Barnier’s demands on the rights of citizens – which cover Europeans currently living in the UK but also those who have done so in the past and will in the future – are likely to cause serious issues for Prime Minister Theresa May, who has pledged to end freedom of movement. Relations between the two sides have soured over the past few days. On Tuesday, Guy Verhofstadt, the EU’s lead Brexit negotiator, trolled May on Twitter over her “strong and stable” leadership.